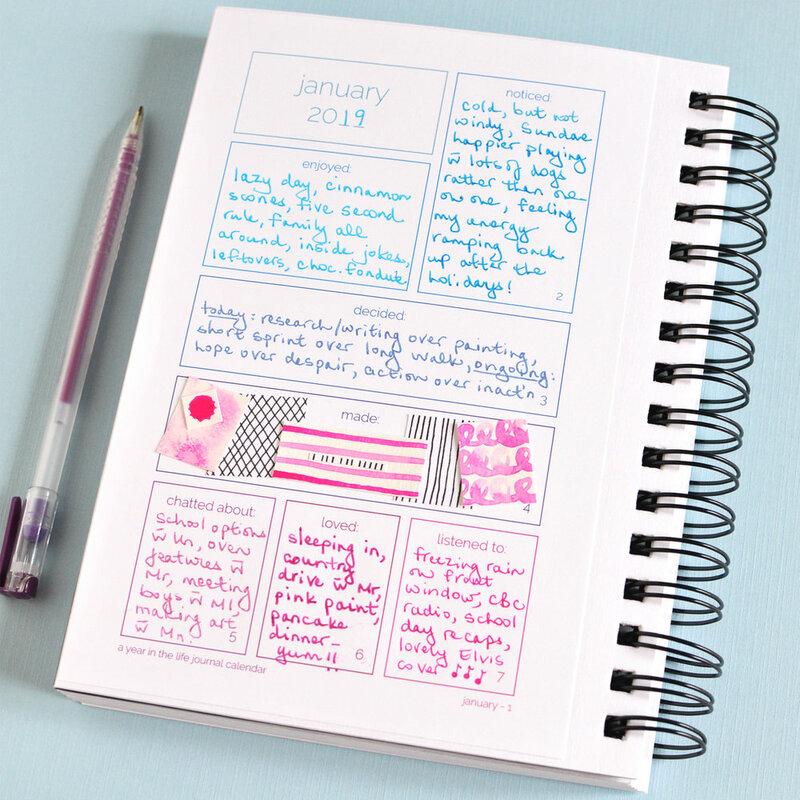 It has been such fun journaling the first seven days of January in my journal calendar. My gel pens are getting lots of exercise. Today’s prompt is - listened to. On my list: freezing rain dancing on our front window, an interview with Sandra Oh on CBC radio, a lovely cover of Elvis’s “Don’t Be Cruel” by Billy Swan (also on CBC radio), and school day recaps from my girls.